Tom Conner, the fourth generation to run Conner Bottling in Newfields, sits inside his warehouse. The machinery inside Conner Bottling Works doesn’t sparkle like it used to. In fact, everything and everybody in here look like they could use a break. Launched in 1863, the first Conners only bottled beer, but in the 1890s, the company branched out into sodas. During prohibition, harder drinks were made out back, a friendly sheriff reportedly looking the other way. And then in 1938, they laid out $2,400 for the Dixie, a new bottling machine manufactured in Baltimore that has more than earned its keep. Watching soda get made is more pleasant than watching, say, sausage. 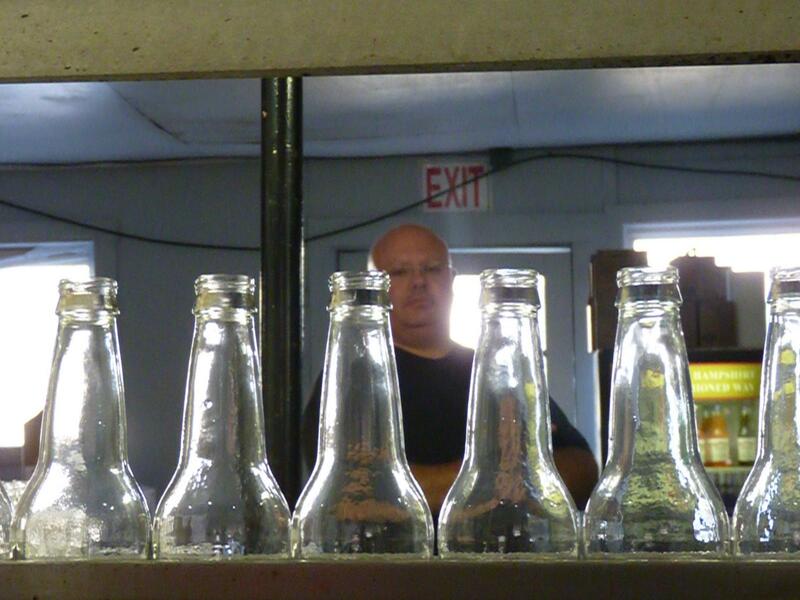 Howcroft lines up the gleaming glass bottles, with each one rattling along toward the spigots. He knows it’s a scene right out of a sitcom. Tom Howcroft has been working the bottling machine for 27 years. “Laverne & Shirley, the one that a lot of people bring up, with the conveyor belt,” says Howcroft. The gleaming bottles move down the line, first passing under the syruper that deposits two ounces of cane sugar and flavoring. Then, a stream of carbonated water, followed by the cap. The bottles then get a quick rinse from a tiny sprinkler. After they dry, a label, and then, finally, a taste test. Child labor rules have changed, and so have the economics of soda making. For starters, there’s not much local competition. That ability to hang on has started paying off. 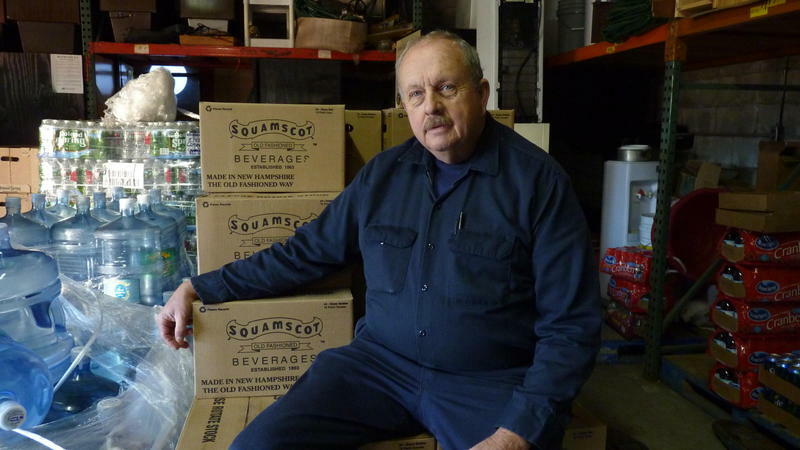 Their line of sodas, sold under the name Squamscot Beverages, are now carried in more than 600 stores around the country. Customers have 27 different flavors to choose from. Root beer and cherry cola, fruit bowl, ginger ale. Even some low-calorie options, much to Tom’s chagrin. “I don’t care for it. I know people like it. Some people have to drink it, and we make it. And let it go at that,” he says. 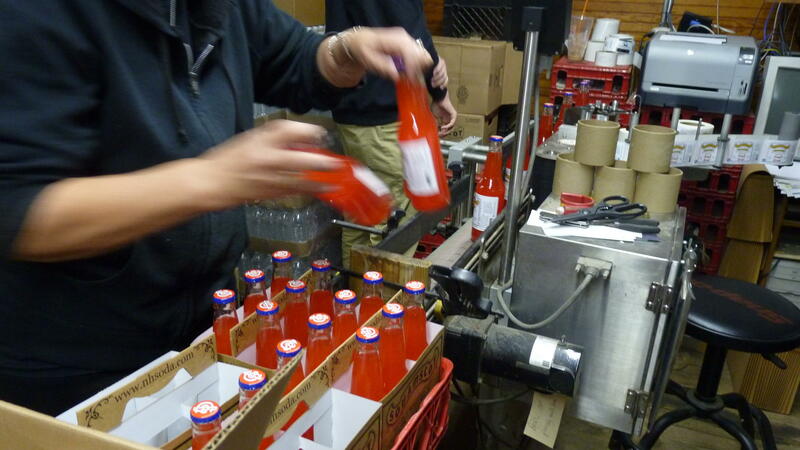 Bottles of Squamscot Soda get a label inside the company's factory in Newfields. This time of year, the biggest demand is for Squamscot’s limited edition Mistletoe Mist, only available for about a month, unless it runs out sooner. It’s a family recipe Tom isn’t about to reveal. “My parents used to take a mixture of different flavors, and they’d pour it into a punchbowl, whenever they had holiday parties. And then we thought we’d just pour it into the bottle, cap it, and call it something good,” he says. Mistletoe Mist is a pinkish color, citrusy, not really all that seasonal. But like a good punch, it goes well with whatever else is kicking around. “Well, rum is good with it, vodka is good with it. But you can put anything you want in it,” he says. After showing off his grin, his warehouse and the delivery truck, there’s one last item to see on the Conner Family property. Tom’s not talking about the celestial bodies that twinkle down upon his soda operation. Instead, it’s the 156 solar panels that power the entire factory. They’re big on tradition here at Squamscot, but are happy to update things if it makes financial sense. 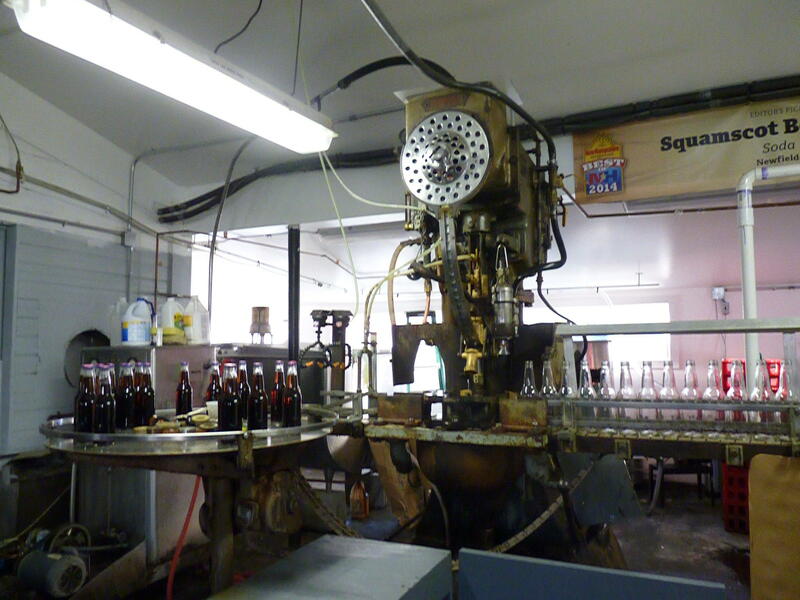 The 'Dixie,' purchased from a Baltimore supplier in 1938 for $2,400, is still the only bottler Squamscot uses. 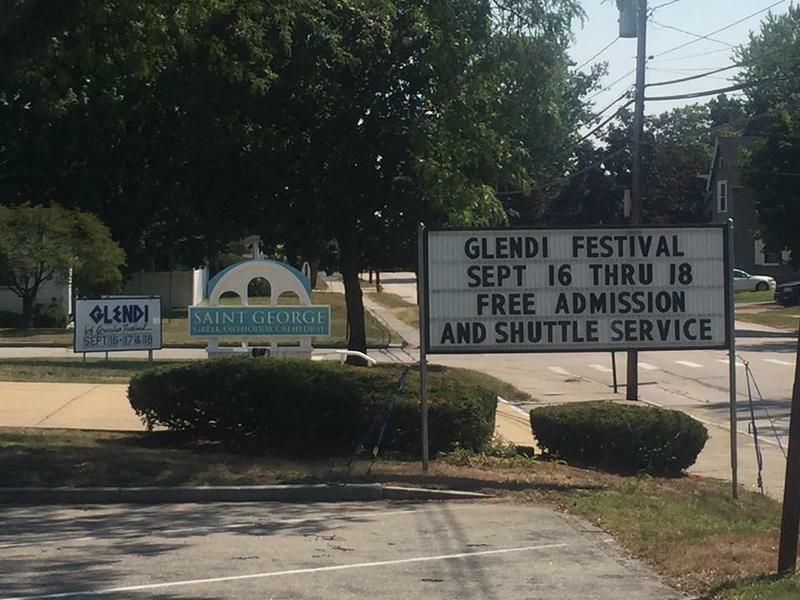 This weekend is Saint-George Greek Orthodox Church’s 37th annual Glendi festival in Manchester-- the church's largest fundraiser of the year. Glendi is the Greek word for “celebration," and the festival, which runs from Friday through Sunday, includes live music, traditional costumed dancing, and plenty of Greek food. Frank Comerford is the president of the church’s Board of Directors, and calls himself "the Irish president of the Greek Cathedral." If he could only get one thing at the festival all weekend, Comeford says, he would get the lamb shank. Do you tend to make the same dinners over and over again? It’s often easier just to rely on a recipe you know by heart, especially if you’ve worked a long day. Portsmouth chef Evan Mallett wants you to consider disrupting that routine. The three-time James Beard Foundation semi-finalist for "Best Chef" in the northeast offers some suggestions in his new cookbook, named after restaurant, Black Trumpet, which he runs with his wife Denise. Among those suggestions: meals including ostrich or goat meat, spice-roasted strawberries, Asian seaweed, and other unusual ingredients. 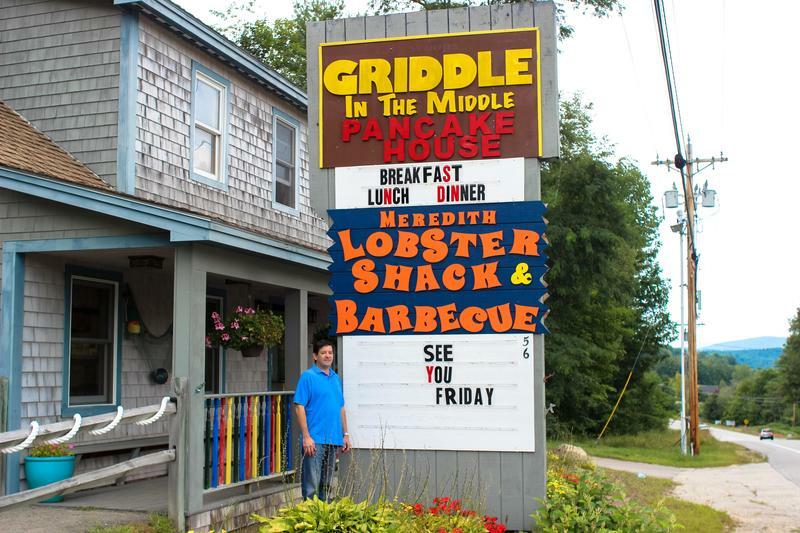 First time visitors to the Griddle in the Middle Pancake House in Meredith often come up short at the door. Some can’t handle it – some turn around and leave. Not NHPR’s Sean Hurley. He marched inside, sat right down and - after a little work - ate breakfast. The sign out front doesn’t offer any clues. It just says Griddle in the Middle. It looks like a completely normal breakfast place. Until you step inside…”You can see it in the person's face,” owner Kyle Goren says, “They're like "oh what am I getting myself into?"